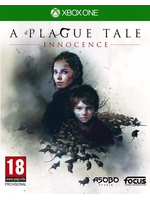 In A Plague Tale: Innocence, Amicia and her brother Hugo will have to cut a path through various environments of the Kingdom of France, ravaged by the war and the black plague. Today's new screenshots show the beautiful landscapes and artistic style from Asobo Studio rendered with the developer's in-house engine. This game really impressed me with its E3/GC 2018 16 Minutes Gameplay. Looks really great as well. 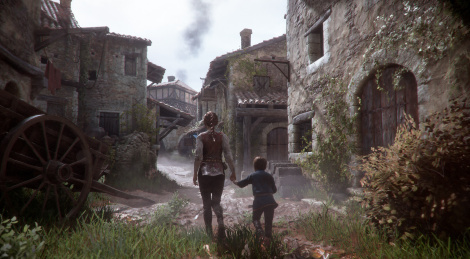 2019 promises to be just like 2017 and 2018, full of great games - too many for anyone to play them all, even if juat the great ones. Definitely on my radar. It looks quite promising. Looked at the youtube video. No thank you. Definitely not my kinda game. very pretty lighting and art design. the gameplay mechanics are pretty simple but you could say the same for a game like "Inside", which didn't use more than a jump button and left many impressed. this project is definitely going to be on my indie backlog and leaves much to be a mystery. good work so far! Looks great. I just hope they fix the AI.